My current car is a hybrid, and if current trends continue, I imagine any future cars I buy will be fully electric. But a century ago, I might have been tempted by one of the last steam-powered cars…at least, if I’d been extremely wealthy. I’m speaking of Doble steam cars, designed and manufactured by Abner Doble and his three brothers. On the plus side, they required very little maintenance, accelerated rapidly, handled smoothly, had low emissions, and were virtually silent. On the minus side…pretty much everything else. In the early years of the 20th century, some cars were powered by steam engines, based on the same tried-and-true technology that had already powered locomotives for a long time. The newfangled internal combustion engines rapidly stole the show, though. Unlike steam engines, which sometimes took as long as a half hour to heat up before the car could even move, internal combustion engines started immediately. They didn’t require the driver to stop every hundred miles to refill a water tank, and they generally had fewer mechanical problems. By around 1910, the only major steam-powered car still in production was the Stanley Steamer—and its days were numbered. The battle had been decided. After building a couple of prototype vehicles, the Doble brothers moved to Detroit in 1915, where they set up shop as the General Engineering Company to design and build steam-powered cars. Doble’s next challenge was to solve the long start-up problem. He did this by using a flash-steam generator rather than heating a huge tank of water, and adding ignition and carburetor systems similar to those used by internal combustion engines. With these improvements, his car could start in as little as 30 seconds. This design also had the side-effect of reducing leaks and making the steam engine safer. The Dobles began advertising their car—the Doble Series C, also known as the Doble-Detroit—long before they’d worked out the rest of the design and manufacturing issues. Although the Doble-Detroit got a lot of press and generated thousands of orders, very few were built. (Some sources say only 11 were manufactured, others as many as 80—but in any case, it was just a handful.) Doble blamed his company’s failure to produce cars on steel shortages caused by World War I, but ongoing engineering difficulties were the real problem. By 1918, the Detroit operation had shut down. In 1921, after the death of John Doble, Abner and his two remaining brothers moved back to California to give the car business another go, this time as Doble Steam Motors. They solved most of the outstanding engineering problems and added several more innovations, increasing the car’s acceleration and improving its reliability. Unlike other steam cars—and most internal-combustion-engine cars—their new Series E car could start almost instantly even in freezing weather, and could go from 0 to 75 miles per hour (120kph) in a respectable 10 seconds. Because steam engines produce a great deal of torque at almost any speed, the car required no transmission, clutch, or gear shifting. And because the kerosene fuel was burned at very high temperatures but low pressure, almost all the waste carbon was consumed, while certain other common pollutants were never generated in the first place. And yet, for all those innovations, Doble cars were still hindered by two major problems. First was the price: the chassis alone cost $9,500; add the body, and the price nearly doubled. In the 1920s, that sort of price made the car a luxury item that only the extremely wealthy could afford. The other problem was Abner Doble himself: he was such a perfectionist that he was seldom willing to stop tinkering and tweaking and actually release an automobile for sale. 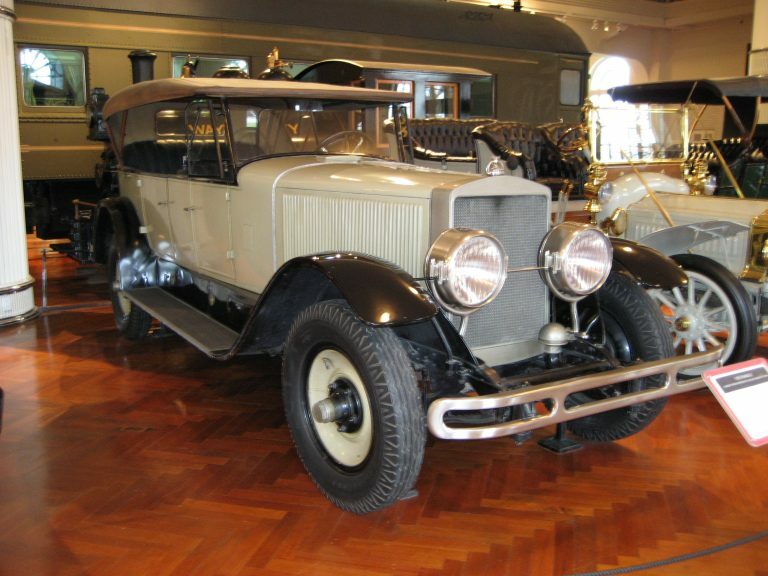 The first Doble Series E was sold in 1924, and Doble Steam Motors continued to manufacture steam-powered cars—very slowly—for the next seven years. The total number produced before the company went out of business in 1931 has been reported variously as 24, 42, or 43. A few of those cars are still on the road, having racked up hundreds of thousands of miles. But despite the cars’ reliability, Doble simply couldn’t compete against the cheaper mass-produced internal-combustion-engine cars. Today most people think of the steam engine (an external combustion engine) as a quaint artifact of history, but every few years or so, someone tries to come up with a new spin on using steam to power cars. Given current trends, I have little hope of seeing a practical, fuel-efficient steam car in the future. But I have to admire the Doble brothers’ dedication to overcoming engineering problems and making the best steam car they could given the technology of the time and the resources at hand. Note: This is an updated version of an article that originally appeared on Interesting Thing of the Day on September 1, 2006. (California Court of Appeal) – Held that the trial court used an incorrect legal standard in denying a domestic violence restraining order. 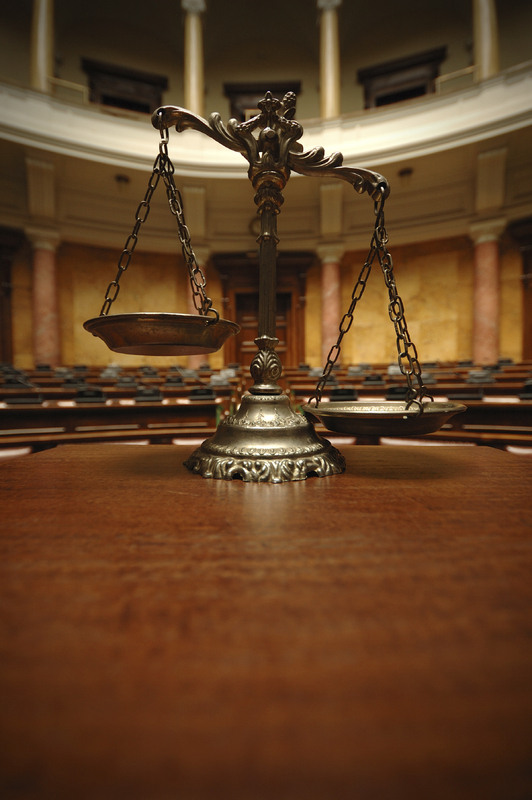 Reversed and remanded, clarifying how technical violations of an earlier restraining order should be treated. Back in 2001, a Swiss friend of mine told me excitedly about a new theme park that was under construction near the city of Interlaken. He sent me a magazine article about it, and even went so far as to buy me a 10-Franc stock certificate for the park, giving me some trivial sliver of ownership in this hot new property. For years afterward, Mystery Park was on my list of things to write about, but for one reason or another it never managed to percolate up to the top of the list until December 2006. Which is a pity: the park closed—permanently, it appeared—on November 19, 2006, due to a shortage of visitors (and, therefore, money). At least I no longer had to wonder how much that stock was worth! So I wrote about it, but the story would turn out to have another chapter. The lack of credibility didn’t stop von Däniken from authoring more than two dozen additional books and selling tens of millions of copies worldwide. After a few decades as a bestselling author, von Däniken had some cash to play with, and he decided to design a theme park that would explore the world’s great mysteries. Not just any mysteries, of course, but those for which von Däniken implied the answer “aliens did it.” The park, built on the site of a former military air base, would be an interactive, hands-on way to spread his ideas in the guise of history, science, and entertainment. Planning began in 1997, and Mystery Park welcomed its first visitors on May 24, 2003. The park, which was tiny as theme parks go, consisted mainly of seven pavilions or “theme worlds” arranged in a ring. Each pavilion focused on one particular ancient culture and its mysteries. The Vimanas pavilion explored flying machines said to be used in north Indian temples. In the Maya pavilion, visitors learned about the Mayan timekeeping systems, which von Däniken believed to track the calendars of other worlds. The Orient pavilion examined the construction of the Great Pyramid of Giza, while Megastones looked at Stonehenge. There was also a Nazca pavilion, a Contact pavilion about cargo cults, and a Challenge pavilion dealing with space travel to Mars and beyond. An elevated sphere in the center of the park served as an observation tower. Although von Däniken repeatedly asserted that the park’s goal was to provide questions, not answers, he certainly tried to steer visitors toward accepting his interpretations of things. He helped design the attractions, sold his books at the park, maintained an office on the premises, and regularly interacted with visitors. Critics pointed to his well-known biases as a reason the park didn’t draw more people; even to the extent that some of the exhibits were reasonably objective, skeptical would-be visitors frequently assumed they’d be getting a full dose of UFO mania and little more. After trying unsuccessfully to stave off creditors for months, the park eventually declared bankruptcy and closed. Analysts blamed everything from an underperforming stock market to the fact that the exhibits never changed, discouraging repeat visits. But a large part of the reason for the park’s failure seems to have been that there’s only so much to say about von Däniken’s theories and so many people who will listen to them, no matter how entertaining the multimedia presentations may be for their kids. I assumed that was that, but amazingly, the property was purchased by a company called New Inspiration Inc., renamed Junkfrau Park, and reopened for the summer 2009 season, with the fairly modest goal of attracting 500 visitors per day (compared to the 500,000 annual visitors the park had initially projected). It has been open every summer since then; a children’s area called Mysty Land is open year-round. The core of the park, now referred to as Mystery World, appears to be pretty much the same as it was in 2006, and despite the park’s new ownership, it still features monthly lectures by von Däniken and continues to sell his books in the gift shop, so one thing that clearly has not changed (for better or worse) is his influence. I’ve never visited Mystery Park myself—and haven’t read any of von Däniken’s books—all my opinions have been formed second-hand. (The TripAdvisor reviews are worth reading.) To be sure, I’ve got to give props to anyone with the resources, vision, and influence to create his own theme park. As for the content, what can I say? I liked The X-Files as much as the next person; conspiracy theories and stories of alien visitors are nothing if not entertaining. But I enjoy those stories as fiction, and I hope I know enough to separate entertainment from reality. On the other hand, I would have given Mystery Park a 0% chance of resurrection, and still can’t quite believe it. Was the park’s comeback the work of aliens? I haven’t yet found a more plausible explanation. Note: This is an updated version of an article that originally appeared on Interesting Thing of the Day on December 1, 2006. If you have any Apple device made in recent years—Mac, iPhone, iPad, Apple Watch, Apple TV, or HomePod—you’ve undoubtedly used Siri at least occasionally. Apple’s voice-powered digital assistant gives you an easy way to control your music, take notes, set reminders, and do loads of other tasks on the fly. But few of us, myself included, have ever spent enough time learning everything Siri can do and how to become a true Siri pro. But my colleague, Scholle McFarland, has done just that. 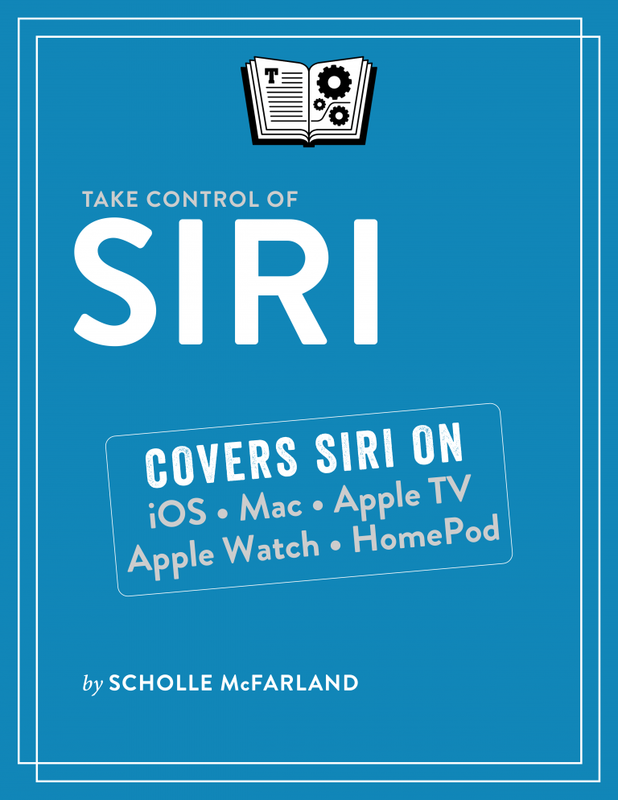 And she shares her wealth of Siri knowledge in her new book Take Control of Siri. You may use Siri for just a handful of things, but with a bit of coaching, you can discover dozens of useful, fun, and time-saving ways Siri can help you. This book digs into all of it, from light-hearted (getting Siri to tell you jokes) to serious (using Siri to summon emergency help)—and everything in between. Need more convincing? Scholle has produced a series of 10 videos demonstrating many of Siri’s capabilities, and you can watch them right now for free. Those videos, of course, only scratch the surface of what’s in the book, but they give you an excellent taste of what Siri can do for you. This book, like all Take Control titles, comes as an ebook, and you can download any combination of formats—PDF, EPUB, and/or Kindle’s Mobipocket format—so you can read it on pretty much any computer, smartphone, tablet, or ebook reader. The cover price is $14.99, but as an Interesting Thing of the Day reader, you can buy it this week for 30% off, or just $10.49. Tour guides, docents, and professional speakers of all sorts love to ask their audiences questions to which the answers are obvious. They do this in order to “encourage participation,” but I always find these exchanges patronizing. “Who can tell me the title of the seminar you’re currently attending? That’s right! Communicating Clearly. Now if we’re not communicating clearly, how are we communicating? Anyone? Yes! Unclearly!” Ugh. So I don’t like to encourage this sort of behavior. If you have facts to relate to someone, then relate the facts. If you can’t ask genuinely useful questions, find some other way of involving your audience. So there we were in a van in southern Argentina with seven other tourists, a driver, and a chipper guide who was eager to practice both her English and her professional guide skills. We were a captive audience in the only vehicle for many miles on one of the narrow highways that stretch across Patagonia. It was going to be a long ride, and we did pay a lot of money to be there, so we tried to make the best of it. “Who can tell me what meteorological feature this part of Patagonia is best known for?” she asked. Silence. We all knew. She knew we knew. No one wanted to play. I sighed and decided to throw out the obvious answer just to take the pressure off my fellow tourists, and make the guide feel better about her job. “Wind,” I said. The guide smiled condescendingly with the look that means, in any language or culture, “Not the answer I was looking for.” Dang it. “Well,” she said, trying to reassure me that I hadn’t said something completely boneheaded, “it is indeed very windy here.” And she went on to talk about how many windmills were being installed, what a large portion of the nation’s electrical needs they hoped wind would provide in a few years, and so on. But this was all a diversion. She was looking for a particular answer to her question, and after asking a second time with no response, she filled it in for us. “It’s incredibly dry here.” Well, yes, of course—we knew that. We were confused because it was too obvious. Our guide went on to tell us how very few centimeters of rain the Chubut province received each year, how only the hardiest plants and animals could survive, how heavy pollution in other parts of the world was leading to dramatic climate changes here, and so on. This was all interesting in a vague, academic sense, but not what I really cared to listen to at that time. As I would later discover, however, stories involving thirst figure prominently in this arid region’s popular mythology. As we drove all over Chubut province—and again in each of the regions we visited—we repeatedly passed small roadside shrines, often in the remotest and unlikeliest locations. We always zipped by too quickly for me to get a good look or take a picture, but something told me there must be a story behind them. Finally someone asked what they were. Our guide said, with a mildly embarrassed tone, “Those are shrines or monuments to Deolinda Correa.” The story she then related is one she clearly did not believe in herself, but equally clearly, a great many other Argentineans did. Years later, as her story spread, the locals began to think of her as a saint who had given her life for her child. And so, in this predominantly Catholic nation, people in need began to pray to her. When one man’s prayers were miraculously answered, he built a small chapel to honor Deolinda. Shortly thereafter, someone brought an offering of water to this chapel, symbolizing the divine relief from thirst. 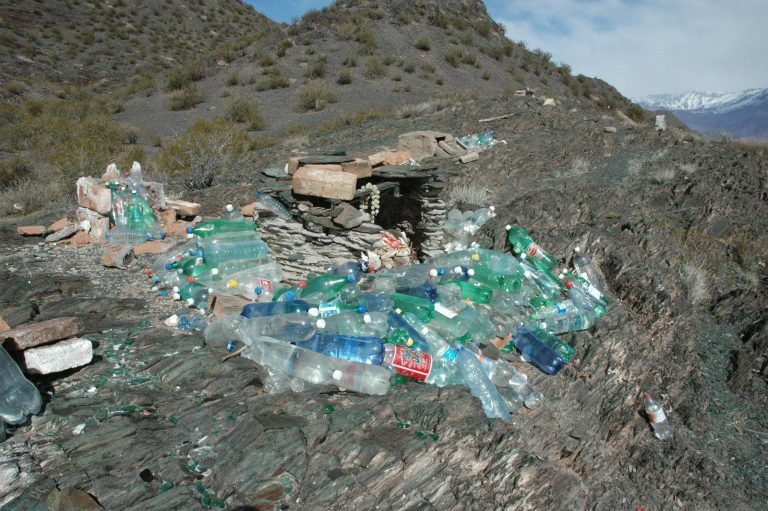 Soon, small roadside shrines began to appear all over the country, some of them littered with hundreds of bottles of water brought either in supplication or in thanks. Deolinda Correa has become the unofficial regional patron saint of travelers, farmers, and all those whose lives or livelihoods depend on a precarious supply of water. The monument built on the site where Deolinda is said to have died is now a large sanctuary—a hilltop where 17 chapels, and numerous smaller shrines, pay her honor. Over half a million pilgrims visit this site in the small town of Vallecito each year. Deolinda was never canonized by the Catholic church, which regards the entire tale as nothing more than a superstition. There is little evidence of Deolinda’s existence and even less of the supposed miracle. The legend also does not say what happened to Deolinda’s son. But none of this weakens the beliefs of thousands of people who claim that Difunta Correa’s intervention resulted in miraculously answered prayers. Travelers do not often cross the deserts and plains of Argentina on foot these days. But I can easily imagine a parched and weary soul, stranded far from food and water, who stumbles upon a shrine to Deolinda Correa and drinks from a water bottle left as an offering. Whether or not this ever happens, I like to think that in death—or even as the figment of someone’s imagination—Difunta Correa now has the power to save countless thirsty travelers. Note: This is an updated version of an article that originally appeared on Interesting Thing of the Day on January 26, 2005. On our way home from the theater after seeing an X-Men movie back in the mid-2000s, Morgen and I kept finding ourselves surrounded by unusually noisy people—in the lobby, on the street corner, in the subway station. We were attempting to discuss the film, but we could barely hear each other. Every time this happened, I tried to move away to a quieter spot; noise has its place, but when I’m trying to think or carry on a conversation, I prefer relative silence. As we reviewed some of the fictional mutants and their super powers, I said, “If I were a mutant, they’d call me Silento. My super power would be the ability to create a large bubble of silence all around me.” In my book, that beats being able to throw balls of flame or have metal claws pop out of my hands. I have always been baffled at the fact that people so frequently go to noisy parties, bars, clubs, and restaurants with the apparent intention of getting to know each other or spend quality time together. How is that supposed to work? How can you have a worthwhile conversation with someone when you must yell over loud music, not to mention all those other people yelling their own conversations at each other? Perhaps my telepathic powers are insufficiently developed, but as an ordinary human, it seems more sensible to me that if you want to talk to someone, you’d go to a place where you can hear and be heard. Shortly after the episode I recounted above, I found out about a phenomenon that had recently begun to catch on: quiet parties, where the only rule was “no talking.” I wrote about it here, explaining what a delightful idea it sounded like. I’ll tell you about it again, but first a spoiler: that trend pretty much evaporated, and the term “quiet party” now means something very different from what it originally did…though it’s still kind of interesting. The idea for quiet parties (in the original sense) came from two New Yorkers, artist Paul Rebhan and musician Tony Noe, who got frustrated trying to find a bar where they could have a quiet conversation in 2002. (Sounds familiar!) They invented the quiet party partly for practical reasons and partly as a sort of participatory performance art. Despite—or perhaps because of—New York’s reputation for ubiquitous noise, the parties were an instant hit. Loud music, yelling, and cell phone use were prohibited at quiet parties; sometimes there’d be soft music in the background and sometimes not. Whispering was allowed in designated areas, and occasionally, quiet parties even permitted the exchange of text messages and email. But on the whole, participants relied on written notes, mime, and body language to convey their messages. Once partygoers got over the initial discomfort of writing instead of talking, they often found that passing notes makes was easier and less intimidating to approach strangers. And it was often quite entertaining: there was no rule against giggling or gasping. You’ll notice, of course, that I speak of quiet parties in the past tense. At one time, there was a Quiet Party website listing quiet parties that were officially sanctioned and promoted by Rehban and Noe. They took place at venues that had been specially reserved for the evening, with hosts who explained how it works, pass out pens and paper, and enforce the “no talking” rule. These events, which were held around the world, tended to attract mainly singles; those looking for love at a quiet party were said to be practicing silent dating. But for whatever reason, this meme ran its course, the website went away, and Rehban and Noe went on to do other things. Although there’s nothing stopping anyone from holding a quiet party of that type now, at some point, the term “quiet party” quietly adopted an entirely different meaning. 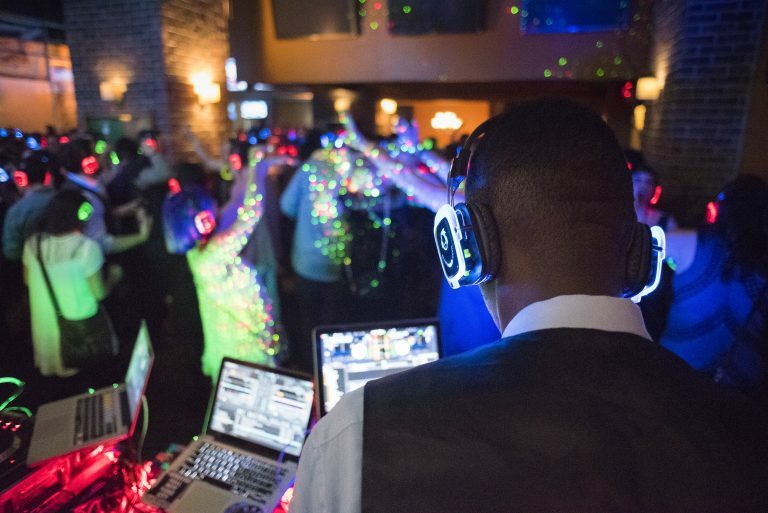 What that term—and others like it, including silent party and silent disco—typically means now is a dance party where DJs play music through wireless headphones worn by each guest, as opposed to through loudspeakers. So a visitor walking into the room without the right headphones would hear very little, while each participant can have the music as soft or loud as they prefer. I guess the option to turn one’s own music down or even off is nice, as is the opportunity to engage in conversation with someone else if they’re willing to do the same. (If not, then it’s just yelling over both people’s headphones—hardly an improvement!) But new-style “quiet” parties, emphasizing as they do constant audio stimulation and very much deemphasizing actual communication, are very nearly the opposite of what I loved about the original quiet party idea. What a pity. I think I can safely say that no one has ever had to yell to be heard at one of my parties, but I’d certainly be game to try complete silence—I mean, without the headphones. Perhaps one day in the future, if truly silent parties make a resurgence and become the norm, the world will no longer need Silento. I’ll be only too happy to hang up my cape. Note: This is an updated version of an article that originally appeared on Interesting Thing of the Day on June 7, 2006. Traveling 50 or more miles to and from work may negatively affect unborn babies, a new study suggests. (United States Second Circuit) – Finding that a plaintiff had standing to sue in seeking adequate payment for foster parents and that plaintiff had a right to adequate payments. In 1731 the Swedish East India Company was founded to pursue trade in southeast Asia, exchanging Swedish timber, tar, iron, and copper for silver, tea, porcelain, and silk. Over the course of its 82-year history, it launched 38 ships on 132 expeditions. One of those ships was the Götheborg. The Götheborg had made three voyages to China when it made its final approach to its home port, Göteborg, on September 12, 1745. After 30 months at sea and within sight of its ultimate destination, for reasons still unknown, the Götheborg ran aground and began to sink. Luckily, the entire crew was rescued by the numerous bystanders who had gathered to watch the ship’s entry into port. However, the ship’s precious cargo—estimated to be worth as much as the national budget—was lost, and the ship sank to the ocean floor. The Götheborg was largely forgotten until 1984, when divers began reexamining the wreck and found remnants of the ship under layers of clay. Their discoveries kindled public interest in the ship, and inspired a plan to build a replica ship that would once again sail to China. In 1993, a new organization called the Swedish East India Company was formed to make this plan a reality. Construction on the ship began in 1995, when the keel was laid, and continued through the ship’s first sea trial in May 2005. Throughout the process, great care was taken to emulate the shipbuilding techniques that formed the first Götheborg, with a few key exceptions. While the exterior of the ship was built using the classic 18th-century materials of oak, pine, spruce, and elm, the interior of the ship is much more 21st century. Due to modern regulations requiring the inclusion of a propulsion system, the new Götheborg had to be fitted with two engines and two main generators plus an emergency generator, although its default power source is the wind. In addition, the ship has been equipped with five watertight steel bulkheads to comply with international seaworthiness standards. 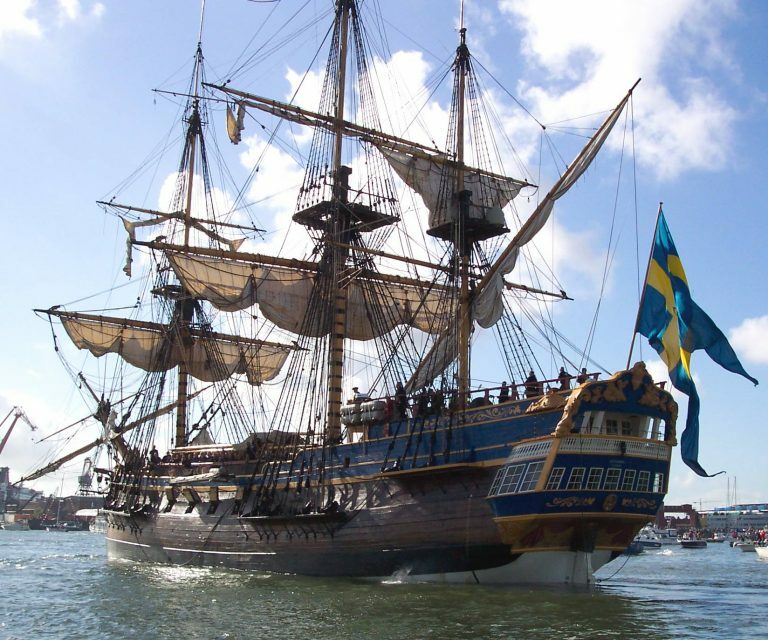 On October 2, 2005, the East Indiaman Götheborg (as it is officially called) set sail from Sweden, headed toward Shanghai, China by way of Spain, Brazil, South Africa, Australia, and Indonesia. The ship reached Shanghai on August 29, 2006, for a two-month stay before returning to Sweden. Since that initial trip to China, the Götheborg has made many voyages to other parts of Europe (including Scandinavia, the Baltic Sea, the Netherlands, France, Germany, and the UK), completing nine expeditions in ten years. When it is in port, whether at home in Sweden or while traveling, it welcomes visitors on board for tours, and has hosted more than a million people over the years. The Götheborg project has given many people a chance to see history first-hand, and to experience what life was like so long ago. But more than that, it has combined the strength of tradition with the innovation of the present—a rare and valuable thing to behold. Note: This is an updated version of an article that originally appeared on Interesting Thing of the Day on September 13, 2006. When an unmarried father establishes his parental rights in Texas and elsewhere, this involves much more than just custodial rights. While it is important to focus on the physical time a parent has with a child, it is also important to consider the financial side of things. With child custody comes child support. And while this is important to fulfill this financial obligation, it may prove to be difficult to continue to meet this obligation. Because jobs and come and go, the ability to pay child support can come and go for some fathers. Thus, it may be necessary to seek modification of a child support order. In the state of Texas, one is eligible to seek modification if it has been at least three years since the order was established or last modified or the monthly amount of child support differs by 20 percent or $100 from the amount that would be awarded. It is also possible to seek modification if there has been a substantial change in circumstances. This can occur in various situations. This can include when the noncustodial parent’s income has increased or decreased, the noncustodial parent is legally responsible for additional children or the child’s medical insurance coverage has changed. It is also considered to be a substantial change in circumstances is the child is now living with a different parent. There are two ways a support order can be changed. This first is through an in-office negotiation. This is known as the child support review process. The other is through a court hearing. While many go through this process to reduce their financial obligations, it should be noted that this process could result in child support obligations going up, as it is based on the noncustodial parent’s income. Whether it is child custody or child support, addressing fathers’ rights matters can be complex. Thus, it is important to become well informed on one’s options and rights. This will help ensure one’s rights are protected and the interests of the child or children involved.